Like, like, like! 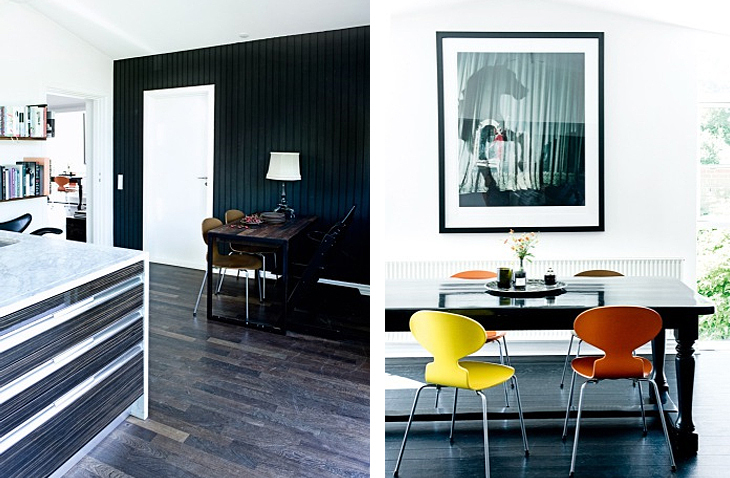 This house is wonderful - as it is stated in the article, there is not many people who see it trendy to paint the freshly laid wood floors in the house black, but sometimes it is worth trying! 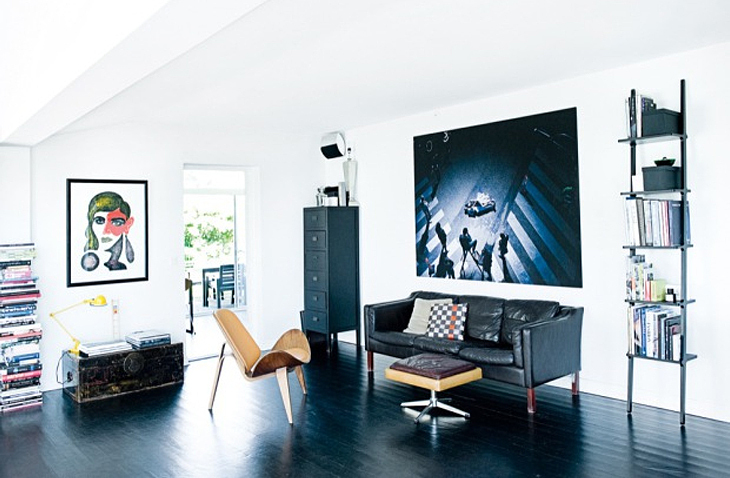 Black and white combination with occasional pops of bold colors works like magic here. 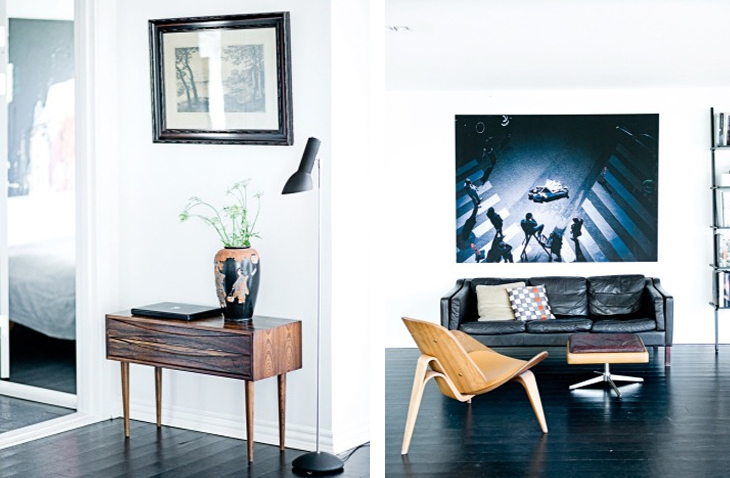 All is accompanied by the great design pieces, like for example famous Wegners chair in the living room and also very nice danish modern rosewood chest ! Interesting thing in kitchen is that flooring here are remaining floorboards from the Opera House in Copenhagen. Black Wall with white doors creatign again great contrast. 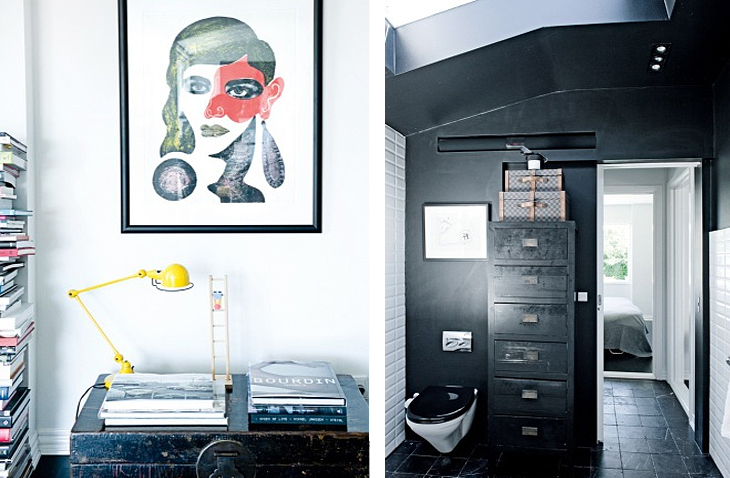 Even the bathroom is almost strictly in B&W, whit great vintage looking drawers. I love Black and White! What about you? I found that apartment today at the same source and I loved it !